In the wake of the president's decision to repeal DACA, lawyers have issued a clear warning to companies: Don't count on Congress to act. 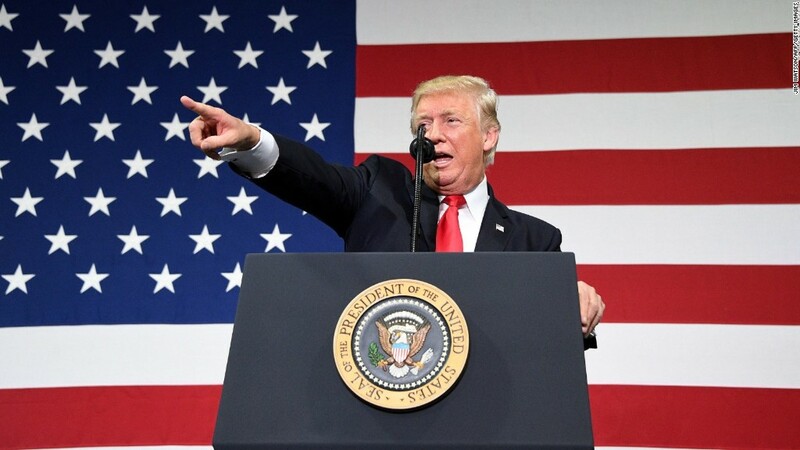 President Donald Trump moved this week to rescind the Deferred Action for Childhood Arrivals program, which allowed undocumented immigrants brought to the United States as children to live, work and study in the country without fear of deportation. Trump's order gives Congress six months, or until March 5, 2018, to create a law protecting the roughly 800,000 people known as "Dreamers" who participate in the program. But legal experts who counsel businesses on employment issues are telling their clients not to expect a legislative fix. "Employers really should brace themselves," said Shin-I Lowe, an attorney who specializes in corporate immigration law at the firm Littler Mendelson. If Congress doesn't pass a bill to protect or extend DACA, program participants would have to be laid off as their work permits expire. Currently, DACA work permits need to be renewed every two years. A recent study by the Center for American Progress, a left-leaning think tank, and FWD.us, an immigration reform advocacy group, found that an average of 30,000 people will be out of work each month if the five-year-old program is repealed. Companies should be aware if there's a chance they'll need to let some of their talent go, Lowe said. "Employers should look at work permits they have today and encourage renewals," she said. Lowe is prompting businesses to go through their I-9 forms, which workers fill out to show they're legally authorized to work in the United States, to see who might be able to renew their status before the deadline. Trump has given Dreamers whose DACA permits expire before March 5, 2018 one month (until October 5) to apply for a renewal, which would be good for another two years. Some employers may not know they have workers who are DACA recipients, since the paperwork looks similar for a number of different work visas, said Shanon Stevenson, a partner at Fisher Phillips who focuses on immigration law for businesses in the IT industry. But there's a larger number of affected companies than some would expect. "Looking at our client base and the immigration matters we handle, we have at least one [DACA] employee at each company," Stevenson said. In a declaration of support for a multistate lawsuit that aims to block DACA's repeal, Amazon said at least nine of its employees are Dreamers. In similar letters, Microsoft said it has at least 39 employees authorized to work through DACA and Starbucks said it has at least 84. Philip Berkowitz, a lawyer who advises multinational companies at Littler Mendelson, said he thinks there will be a lot of political pressure on Congress to act, and that companies shouldn't take any "drastic action" in the interim other than to keep an eye on renewals. But he conceded that everyone is in "wait and see mode" at this point. "This has created a great deal of uncertainty and anxiety, certainly for the people who are eligible for DACA, the people who thought they'd be eligible for DACA and the businesses that employ these individuals," Berkowitz said. Companies have the discretion to decide whether they want to provide DACA employees with legal support or counseling, according to Justin Storch, who works with federal immigration agencies on behalf of the Society for Human Resource Management's immigration affiliate, the Council for Global Immigration. Still, firms should be careful how they go about identifying those who may need help, he said. "That doesn't mean employers should be asking people whether they're on DACA, because that could be considered discriminatory," Storch said. He recommends sending out a company-wide email instead. "I would advise employers to be realistic about this," Storch said. "Counting on Congress to acts isn't always going to be fruitful. Employers should know as of today, the DACA program will end in six months."